Are you a person looking for jobs in the government sector? Are you interested and passionate to work in the banking sector? 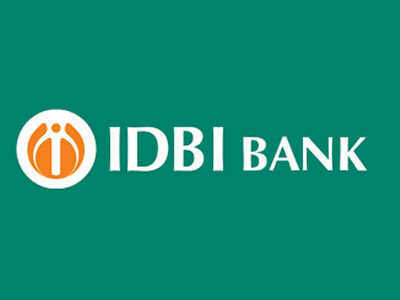 Here is an excellent opportunity for you to work in IDBI bank! The bank has opened its recruitment for filling the vacancies of 500 posts in the post of Assistant Manager across India. If you are a person with the age limit from 21 to 28 years holding a degree with 60% or above can apply for the job. The selection will be based on the online test and followed with the personal interview. When the candidate is selected in the interview he or she will be placed anywhere in the country. If you are interested to apply for the job you may open the official website of IDBI bank and click on “career” site followed with “Current openings” then click on the “IDBI Bank Assistant Manager Recruitment Online Application form 2019” read the procedure given in the advertisement and continue filling the application with appropriate details and upload the required documents and finally submit the application by paying the fee. Be updated with the official website for further information about the job and also for the upcoming vacancies. Online: The candidate can only through the online mode using any modes like Debit Card (RuPay/ Visa/ MasterCard/ Maestro), Credit Cards, Internet banking, Cash Cards, IMPS, Mobile Wallets by mentioning the information the questions asked in the screen. For other specific information, the candidate may check in the official notification. Step 2: Look for the “career” option and click on that then on the current opening. You will have different recruitment options on the site and look for “Recruitment of Assistant Manager- 2019” and click on the detailed advertisement. Step 3: Go through the advertisement completely and look for the eligibility. When you are eligible and interested to apply for the job you may process with the required information. Step 4: Look for the details required and get ready with the documents to be uploaded. Now, click on the application form and fill the details completely with attention and upload the necessary documents. Step 5: Check all the informed given by you is right and click on the submission. In the final tab give information about the card or net banking and make the payment. Complete the final submission and finish the registration process. Step 6: Check the registered mail ID and phone number for further information and also keep updated with the official website for more information regarding the recruitment and upcoming vacancies as well.